Tony's Talking Pictures Blog: New in Theaters Friday September 21, 2018 "The House with a Clock in Its Walls" and "Life Itself"
New in Theaters Friday September 21, 2018 "The House with a Clock in Its Walls" and "Life Itself"
A young orphan aids his magical uncle in locating a clock with the power to bring about the end of the world. Did you ever see a film that you instantly wanted to see again and again? “The House with a Clock in Its Walls” is the opposite of that kind of movie. I wish I hadn't seen it to begin with. “The House with a Clock in Its Walls” is one of the worst movies of the year. The film is severely under written allowing plot holes so big, you can drive semi trucks through them. 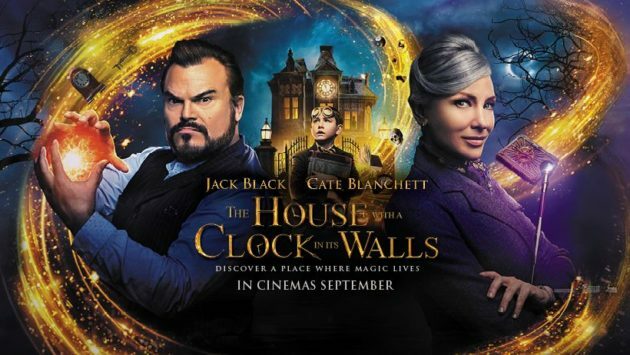 “The House with a Clock” offers no real character backgrounds, no reason why the audience would care about any of the characters in the film and simply is throwing contrived plots and subplots onto the screen, seeing if anything sticks all the while misusing Jack Black's talent for comedy and underuses Cate Blanchett so much the actress is nearly nonexistent. But the biggest problem with the movie is it far exceeds the PG rating it received. Some of the imagery includes a summoned demon licking the blood off of one of the character's wounds, a painful transformation scene where one character becomes another and several scenes involving terrifyingly possessed pumpkins. What is missing in “House with a Clock” is a feeling of safety that other kid's 'Halloween' films have. This is due to director Eli Roth taking the 'Kid's Scare Films' just too far. Roth is known for his adult horror films and maybe didn't understand the line that is drawn between the two genres. In the end, “The House with a Clock in Its Walls” doesn't deserve your time at all as it's too scary for young viewers and possibly too dumb for older kids. It gets an F and is rated PG. A young couple's life together becomes the catalyst for events that touch generations. I will begin by saying that “Life Itself” is a manipulating, soap operatic film using every trick in the book to pull at your heartstrings and emotions. And it works. The film offers up an interesting premise and executes it well enough for me to recommend, if you enjoy a good wet-hanky movie. 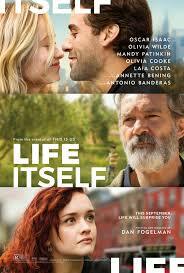 “Life Itself” intertwines relationships and family offering a fully new perspective by the final reel. Despite the movie's obvious flaws and trickery, I think it deserves some attention.